After the nuclear warfare, massacres started to spread throughout the entire world. The order between humans completely collapses, and the strong eats while the weak gets eaten becomes the #1 rule. Hell is to the left, but Hell is also to the right. 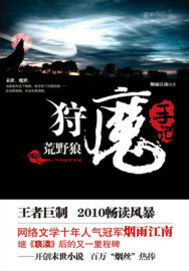 I have been reading chinese novel for 4 years. But this is the first time I am writing a review. Acutally I opened this account to write this very review. Now, it started kinda slow but alright. Very beautiful writing there at first. Nice world building. But when he got chased by the strong private army it became irritating. The army kept killing people who met with MC. But MC didn't fight back, he got his chance to kill many of them as a sniper and run away later, but he didn't do that. But he kept leading the army to army other people to get killed. Later, he killed a single of the pursuer, he actually didn't want to kill but it happend like an accident. The army ran away. He found the traitor who gave him up to the army but he just made love with her. Later he stole some weapon from that bit. Ch's boss, he didn't finish them, because he needed the army to kill some more innocent people. So he leave them and they report him to the army. Again chase start, army again keep killing children, woman, old and others because he lead the army to them and didn't try to kill them back although he got the chance. He found a valuable base with water. But he didn't slef destruct it, coz the great army needs the water. He even show around a army sl. Ut in the base in exchange of teasing. Then the army start chasing him again. MC is the worst MC I have ever seen. This much stupidy is sure to come frome its creator. The author is the real human scum to creat something so disturbing. Typical case of an author specialised in writing beautiful chapters, but unexciting stories. The plot seems really well made, the author seems to have put lot of work on this novel, and thoughts of a lot of things. But ultimately, it's not enjoyable, it's not boring, but too strenous to read. Post-apocalyptic novel that has better writing than your average chinese web novel. Not nearly as good prose as novels like Grandmaster Strategist, but way better than basically every wuxia/xianxia. Another thing I always look for in a novel (that this has) is if the author is willing to write from the POV of other characters. If this is present, then you typically get better world-building and character development for side-characters. This is only strenuous to read if you aren't willing to read something that remotely resembles an actual novel. If you... more>> have the English ability of a teenager, you're good. MC is the typical strong and mysterious type. Early on you are introduced to what his overall goal should be though he is working more towards survival and growth. After reading four volumes of this story, I have to say that it is fantastic. It is incredibly frustrating how underrated this novel is in comparison to all those other trash Chinese post-apocalyptic novels out there. It has great characters, spectacular fights, and extremely competent villains. It is great at building suspense, and has one of the smoothest and most natural story progressions I have read for a Chinese webnovel. It has great foreshadowing and manages to keep most of the named characters relevant rather than dropping them after an arc. I... more>> can't believe that the top rated review is from someone who didn't even get past the first sixteen chapters. Especially since most of what is said in the review is nonsense. It sounds like the person who wrote it merely skimmed over the story without understanding the nuance. In fact the character nuance is one of my favorite parts of the story! Enemies don't always remain enemies when alliances are based off benefit and large organizations are composed of different factions, so of course one group might want to kill you but another would want to save you. Anyways, this story is definitely a buried diamond. I highly recommend it and hope readers will stick through it, the later volumes get pretty crazy. The logic behind strengthening perception is because MC is primarily a firearms user, so perception greatly helps with his accuracy and dodging. He supplements his lack of strength with advanced weaponry, and in most parts of the story, even if he increased his defense, most of his opponents would still tear through him like wet paper. Smarter doesn't mean wiser. It just means he can think faster, but he can definitely still make bad decisions. In fact he is very unlearned in quite a few areas, which he leaves his subordinates to cover. He doesn't collect battle spoils because he has no way of using them. Most of the tanks are damaged and he can't repair them, he has no way of producing ammo for the guns of his enemies and he needs money way more than weapons because of his serious debt, and he literally has no opportunity to collect slaves most of the time. However he actually does use some later on in Volume 4. The whole reason he can even sell them is because his organization is researching the tech, not actually using the gear. MC is strong, but not OP. He have goals, but knows compromise. He can hate, but not indiscriminately. You can sympathize with him, not just ride along and watch him level the world like the usual these days. What I most enjoyed though, was the world building. Makes you think that if apocalypse did happen, maybe the world would not be stranger to this. ... more>> I’d highly recommend this to people tired of the mainstream train, train, train, win. One thing to note is that the main character has sniping abilities in a fallout world with evolution. Cant think of another apocalypse world with a lone wolf sniper "hero". Which does make the main character a little more tactical and less moron/suicidal with plotarmor. So far its a very polished story but its still rather early, my only issue so far is that its a story that is better when one reads many chapters at the same time. Find 1 chapter at a time to be more unrewarding then similar... more>> novels. There aren't many chapters out at the moment, but the story is pretty interesting so far. The story is slow yet fast at the same time if that makes sense at all, but it isn't bad (at least for now) and is probably the most interesting story I have read in a while. It has had a lot of action and the main character is being developed fairly well. There are already quite a few moments where you can really tell what does and doesn't affect the main character's conscience. Hopefully, it... more>> will stay good and won't become stupid and full of plot holes or at least stupid actions like a lot of other novels. Don't listen to the people who have rated this novel low. This is an absolute gem among a multitude of other post-apocalyptic novels, even compared to most of the top xianxia novels. It has depth, the characters have their own distinctive personalities, women aren't some weak 2d vases and the story itself is truly well fleshed out. It's almost at the level of the epic fantasy western novels. Just make yourself a favor and read at least through the first 1-2 books, it won't take you too long, you won't regret it. Among... more>> hundreds of novels I've read throughout the past decade, this can take a part of my top 10 or so, mostly because of the heroines in the novel. Excellent novel. I have stopped reading, probably temporarily, because I've needed to focus on classes and partly because I became a bit annoyed at the MC. That isn't to say that what annoyed me isn't reasonable in the setting of the MC's world and personality, but for me it is annoying. Simply put, the MC is incredibly naive when it comes to the people he trusts and it bothers me. I definitely recommend this story, well thought out and incredibly immersive. Nevertheless, I find a few bad points to this one which makes it hard for me personally to continue reading. The MC keeps making bad decisions despite being called "smarter then regular human". Why does MC never collect battle spoils? Weaponry, tanks, even slaves (for manpower) ? he just keeps buying and in the author words "after selling everything from battle MC gets 600000yuan and afterwards buys wepons and utils 20 people and he is out of money." Anyway is it getting really frustrating at this point. If there is no change I will also drop this. Hope it helped you decide whether to read it or not. The quality of the writing is very good. The prologue was very well written and it set a very dark, seedy, every man for himself tone for the apocalyptic world. The first ~10 chapters setup the MC very well, explained some powers decently, explained the environment and the monsters and the society. It was a really really gripping start to the story and very promising. Then the author decides to throw everything down the drain with a 50 chapter plot sequence of complete absurdity. Some people are interested in the MC's... more>> mutant powers, they start chasing him, they go to the shelter where he stayed and proceed to destroy it and slaughter the people inside, even though he's not even there and they didn't do anything to help the MC. The MC runs, the group of people keep chasing and keep killing villages where he stayed. The MC manages to turn the tables and kill some of the bad guys, forcing them to retreat. What do the bad guys do? Get even stronger reinforcements and keep chasing. The process repeats, follow MC, slaughter some town he stayed in. MC defeats the bad guy team. The bad guys get even STRONGER help to hunt the MC. "Face palm". Whats funny is that the MC is forced the joint the same organization that was hunting him down through a really weird and unbelievable way. Somewhat good intro, then the most insane, character destroying plot wrecking chase appears. It makes no sense. It feels like a 9 year old wrote it. Stay away, this is stupidity taken form. Too much information dump. Too many questions yet it left unanswered. Sometimes the story is abit of dumb, but entertaining. This is just like watching transformer, bugs bunny, or superman. Full of action pack. But when u think again of the reasons behind the actions it's really stupid. Or like horror movie. So much suspense. But doesn't help the plot. I actually rate this novel as movie stated above. So. It's good to be read for the first time. I would binge read other novel. But not this.. Currently rated 3 star.... more>> Ok novel to be read if Ur bored. The story starts with an interesting and really good written plot but after a view chapters there is no red thread anymore (after losing the „daughter“ to someone more powerfull). I think that the author writes from chapter to chapter. Sometimes there will be good arcs sometimes not. Basicly all the chinese novels I get in contact to has this problem. The intersting thing in this novel is the skill development of the different main and sidekicks charakters. The story gets creepy from time to time but is is still coherent to the story universe plot. But the author have to switch from the „walking dead“ social factions issues to the basics of the start, demon hunting! The overall story is interesting for me but the thing bothering me is that the author moves on the story without even mentioning about MC (probably 15 chapter something). And I do not understand that logic. If MC is not in the story, how could I regard "Su" as a MC.... this happens in the previous chapters but this time (I am mentioning the v6...) this is way too long and actually I stop reading. I just check if MC is in play or not.